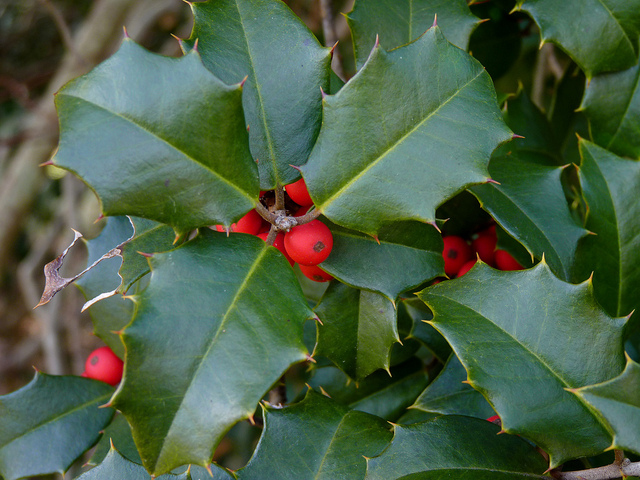 Holly berries; American holly is the state tree of Delaware. Photo by John/Flickr (Use Permitted with Attribution/Share Alike). 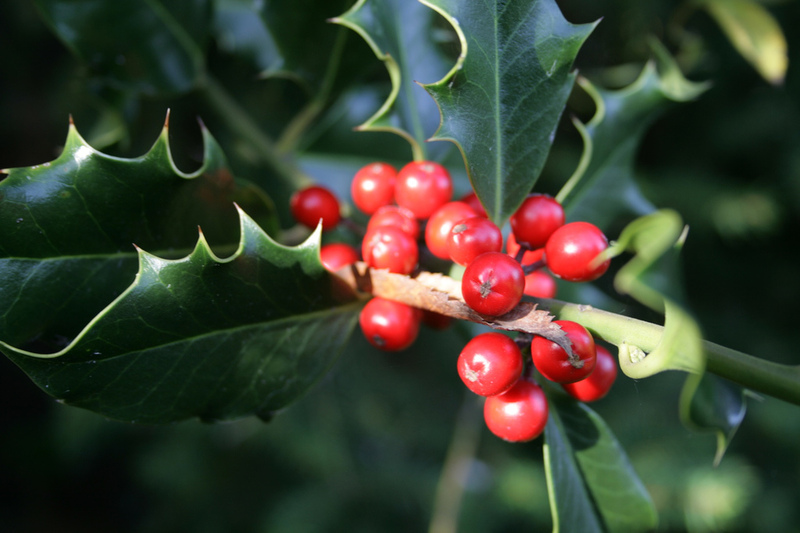 Also called Christmas holly or evergreen holly, American holly is regarded as one of Delaware's most important forest trees. The tree has dark, thorny-leaved foliage and red berries. In Delaware, the tree can reach 60 feet in height and a trunk diameter of 20 inches. 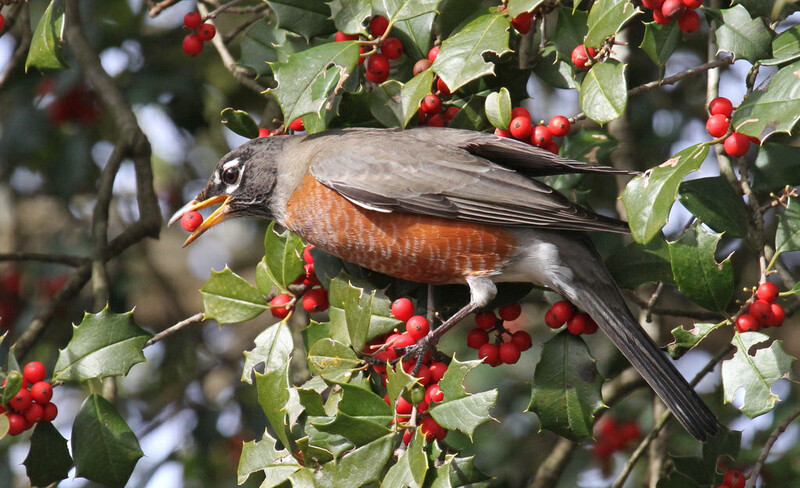 American Robin; snacking on American holly berries Photo by John Flannery/Flickr (use permitted with attribution/no derivative works). 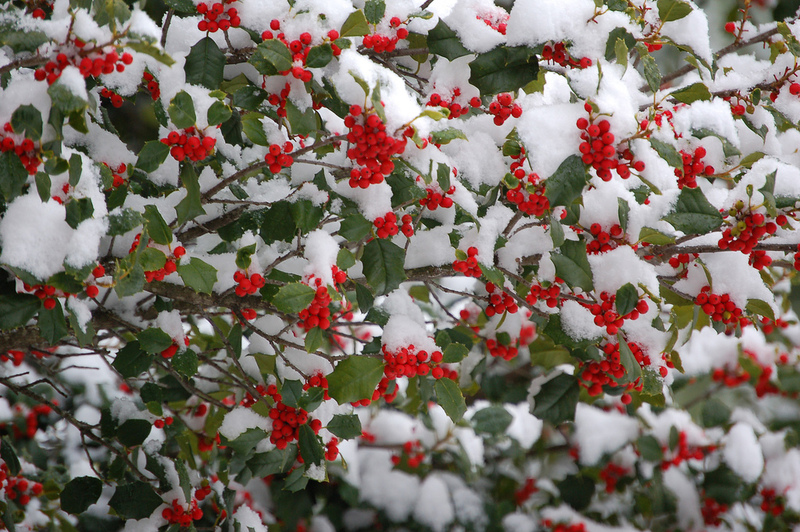 American holly covered in snow; natural festivity Photo by Cayce/Flickr (use permitted with attribution/no derivative works). American holly; photo by Dendroica cerulea on Flickr (use permitted with attribution).